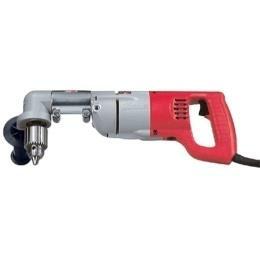 This drill is has a 360-degree rotating head and a head width including chuck of less than 6 inches making it excellent for access into tight places. Perfect for stud and joist drilling. * Please call us for any questions on our 1/2 inch right angle drill rotating head rentals in San Jose, Campbell, Salinas, Santa Cruz, Watsonville, Morgan Hill, Hollister, Santa Clara, Gilroy, Milpitas Sunnyvale, Fremont, Salinas, the Greater Bay Area and the Monterey Peninsula.